We are consulted about activity support from establishment of Neighborhood Association, Neighborhood Associations. In addition, it becomes reception counters such as various supporting systems. We can apply by report of application by Yokohama-shi electron application, report service or enrollment. We contact from ward office to house ino Neighborhood Association, Neighborhood Associations, and there is information for participation from Neighborhood Association, Neighborhood Associations officer. 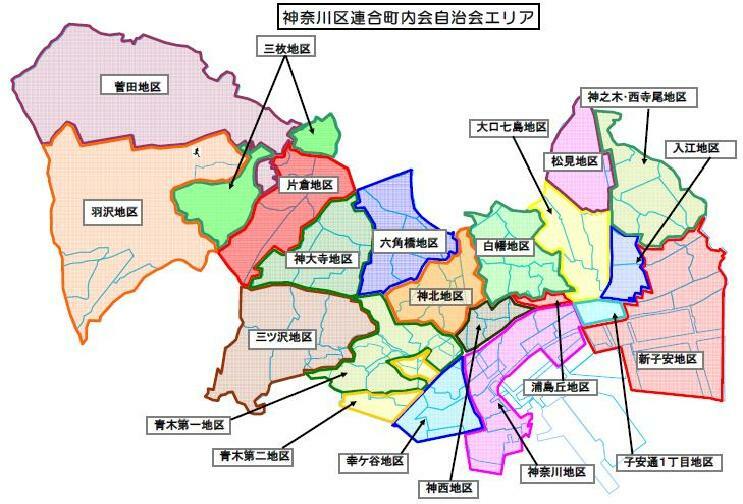 It is voluntary democracy-like option group which Neighborhood Association Neighborhood Associations brings up feeling of solidarity between local residents, and wrestles for various problems such as local welfare, environment, anti-crime program, disaster prevention. In Kanagawa Ward, 178 Neighborhood Association, Neighborhood Associations is organized. In addition, Neighborhood Association, Neighborhood Associations organizes district alliance Neighborhood Associations (21 groups) for each area and works on broad-based local problem. 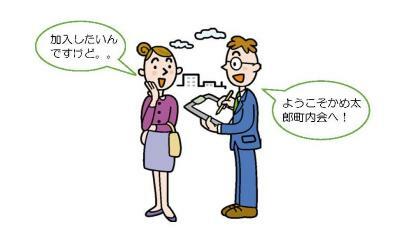 In addition, chairperson of each district alliance Neighborhood Associations organizes association of Kanagawa Ward Neighborhood Associations Neighborhood Association communication meeting and is active for the purpose of planning development in ward while cooperating mutually. We are doing various approaches that accepted the fact of Neighborhood Association, Neighborhood Associations including activity to keep activity to plan the friendship between inhabitants and local security. We prepare for disasters such as earthquake or flood including disaster prevention storage and conduct of disaster drill. We promote beautification of town including local cleaning. At the time of attending school see, and is doing approach of defense and road safety. We contribute to community development which can live in peace including management of crime prevention light and local patrol. We plan Bon festival dance and school festival, communication of local resident including athletic meet. We work on the friendship such as child society or old man society and support. We can plan the friendship with solution to each area problem and local people. Do you not make "town where it is easy to live in which is reliable by security" together? At Kanagawa Ward government office, we perform participation agency to Neighborhood Association, Neighborhood Associations. Please inform Regional Promotion Division of any questions including case that Neighborhood Association, Neighborhood Associations of area to live does not understand. "Association of Kanagawa Ward Neighborhood Associations Neighborhood Association communication meeting" organizing in chairpersons of each district alliance Neighborhood Associations does communication between each district in ward thickly, and, local "environment," "disaster prevention" wrestles for town planning of livable Kanagawa Ward mainly on four problems of "the welfare" "anti-crime program".